Had everything gone according to plan, I would have arrived in San Antonio at 9:55 AM, but due to a mechanical error with the plane, my initial flight was delayed and I missed my connecting flight in Atlanta, causing me to be re-routed to Charlotte, then on to San Antonio where I arrived at 6:15 PM. 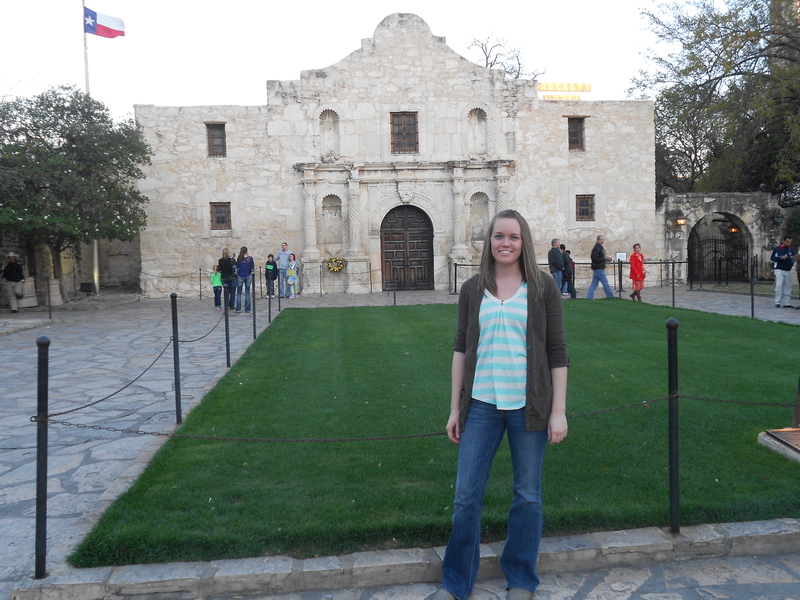 So I missed touring the Alamo, but did get to see it at night. After dinner on the downtown River Walk, we hit the road for our hotel an hour outside of Austin. Before heading in to Austin, Jenny and I stopped in Dripping Springs, TX to check out Hamilton Pool, a natural swimming hole and waterfall outside of the city. It was kind of neat, but looked better in the photos we had seen online. We arrived in Austin during a busy time – SXSW was in full swing and traffic was heavy in some parts of town. 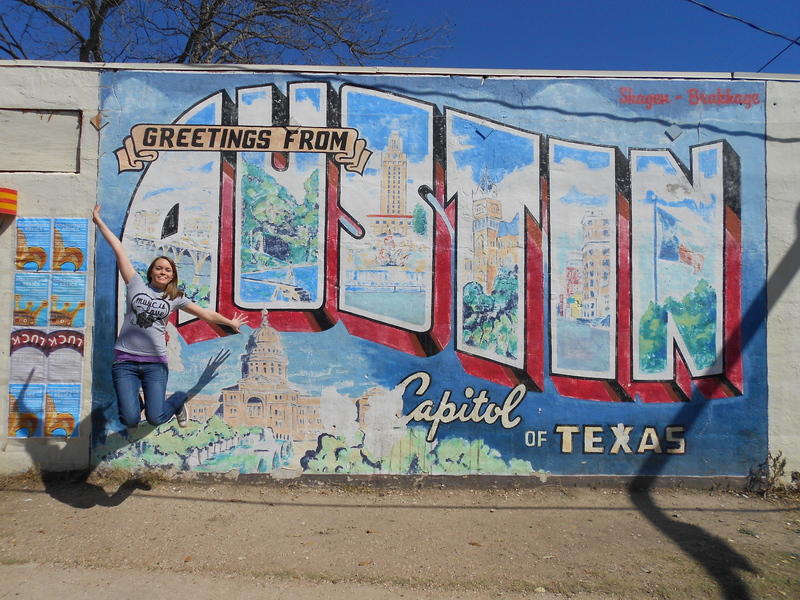 I bought an extremely expensive pair of cowboy boots, we visited the state capitol and a pretty cool wall mural before stopping at the house used in the remake of the Texas Chainsaw Massacre on the way to Waco. Waco is probably best known for the David Koresh/Branch Davidian cult suicides back in the 90s, but it’s also home to the Dr. Pepper Museum! We took a quick tour, then were off to Dallas for the Butch Walker concert that evening. (If you don’t know who Butch Walker is, read my previous blog here). 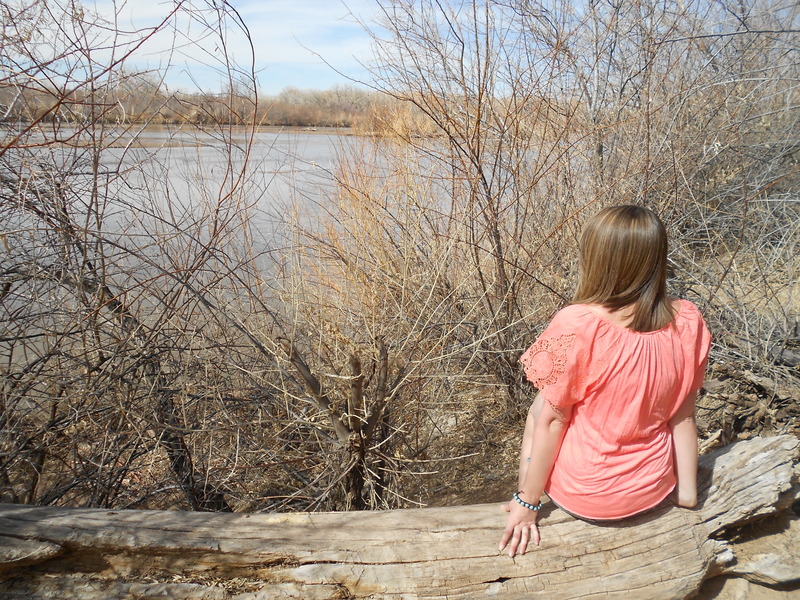 Our most intense day of driving – we spent over 7 hours on the road from Dallas to Tucumcari, NM. We were up early after a late night at the concert and visited the grave of notorious outlaws Bonnie and Clyde. Then we headed downtown to see the location of President Kennedy’s assassination. In Ft. Worth, we ate at an AMAZING Tex-Mex restaurant called Torchy’s Tacos – here’s hoping they expand outside of the Dallas/Ft. Worth area. We also stopped to watch the longhorn cattle drive, which turned out to be a bit lackluster. I was expecting a stampede of cattle down the street but instead got a few, slow cows plodding along for about 5 minutes. 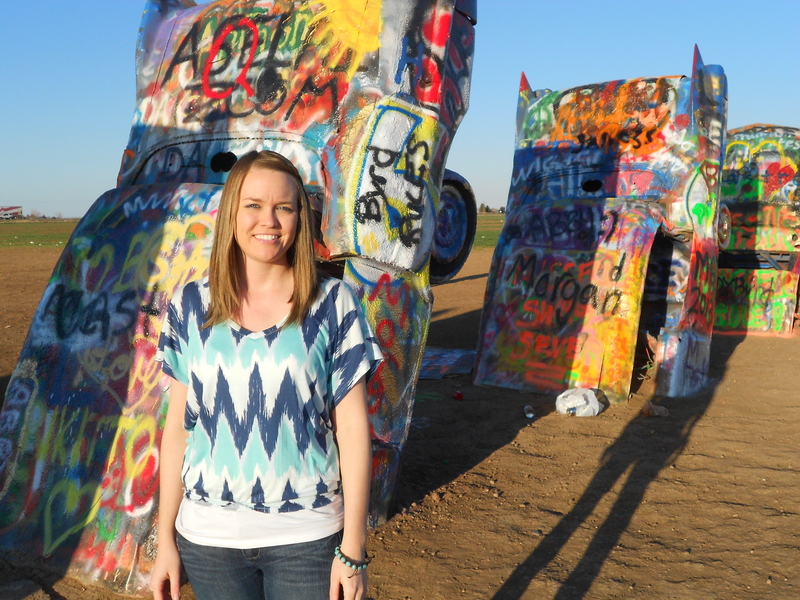 After that, it was off to Amarillo to check out Cadillac Ranch on old Route 66, then to Tucamcari, New Mexico to spend the night at the famous Blue Swallow motel. Tucumcari is full of cool Route 66 attractions, so if you find yourself driving through that part of the state, it’s definitely a fun detour off the interstate. After doing a little sightseeing and trying to save a couple dogs that were aimlessly wandering the streets of Tucumcari, we headed south to Roswell, stopping along the way to visit the grave site of Billy the Kid. I had high expectations for Roswell and was not disappointed. 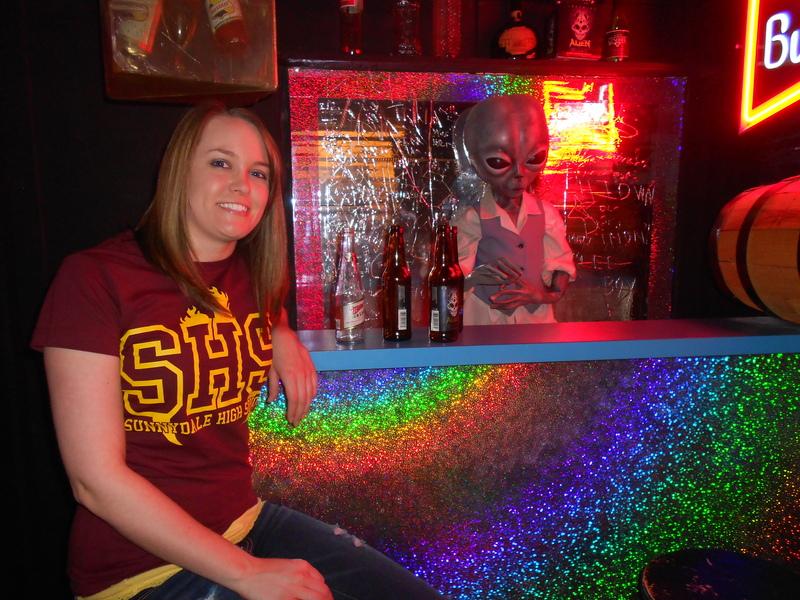 Alien stuff is everywhere – the streetlamps, a flying saucer shaped McDonald’s, the Crashdown diner from Roswell the TV show and the alien murals around town. After having some fun at the UFO Museum and Research Center and the Area 51 Museum, we headed even further south to Carlsbad for the night. We arrived a little before sunset, so we decided to drive down to the caverns to see if the bats were doing their evening flights out of the cave. Officially, bat season doesn’t start until May, but there were still some bats hanging around and we got a pretty decent show after sunset. Carlsbad Caverns is one of those places that you really need to see for yourself – photos just don’t do it justice! The formations are beautiful and look completely different from any other formations that I’ve seen before. 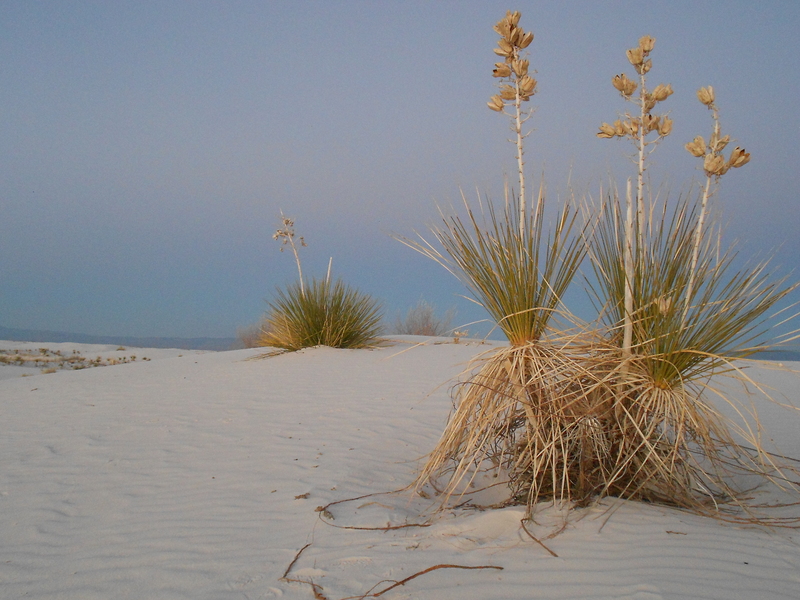 After we left Carlsbad, it was a scenic 2 hour drive through the mountains to White Sands National Monument. The weather was perfect – upper 70s and sunny and we took full advantage of it, changing in to shorts and doing some hiking and relaxing in the dunes for the rest of the afternoon. Watching the sun set was another indescribable moment – you have to see it for yourself. Jenny and I did some more “nature” type sightseeing around Albuquerque – checking out the Petroglyph National Monument and riding the Sandia Mountain Peak tram up 10,378 miles to the top. We also did some shopping downtown in the old town part of Albuquerque and found some filming locations for the TV show Breaking Bad. (I’ve never seen it, but Jenny is a fan). Our last day of the trip for sightseeing (day 7 was spent flying). After spending the morning at Pecos National Monument, we checked out the state capital (not as pretty as Texas’ capitol building), the Loretto Chapel and its famous staircase, old town Santa Fe and several other mission churches. 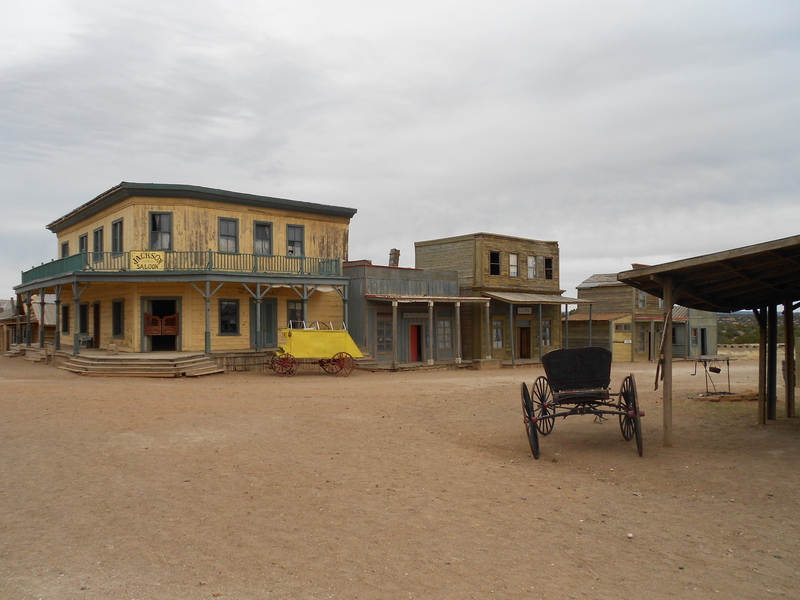 On the way back to Albuquerque, we took a scenic drive on a highway called “The Turquoise Trail,” where we veered off the main path to see a movie ranch that is still used for filming purposes today. The set said it was closed, but that didn’t keep us from poking around for a few minutes to get some pictures. Jenny and I both had early morning flights, so we said our goodbyes at the airport and went our separate ways. It’s amazing that we did so much in such a short time – here’s to more road trips in the future!